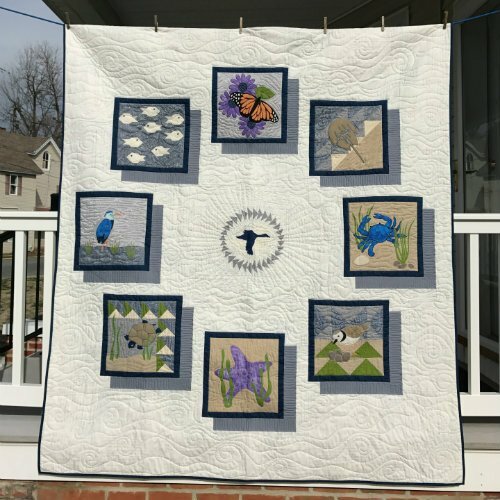 Ten great Maryland and Delaware quilt shops to tour and collect free blocks as you travel around the Upper Chesapeake Bay! "Around the Bay" is Quilt Vine's interpretation of the blocks from the participating quilt shops in the 2017 shop hop. Each shop chose an animal from the Chesapeake Bay Area and designed a block. We do have this quilt kitted and it is available only until December 31, 2017.